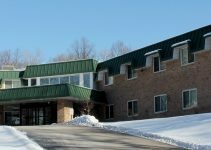 A lawsuit has been filed by Elsbeth Bosinger against Saber Healthcare and the Seven Hills Health and Rehab Facility for leaving her in her wheelchair leading her to fall and break her leg, failing to send her to the hospital for many hours, and failing to report the incident in a timely manner. An Ohio woman files a lawsuit against Seven Hills and their parent company for neglecting her in her wheelchair leading to her fall. On August 14th, 2017 Elsbeth Bosinger, aged 81 and a short-term therapy resident who was recovering from a stroke, was ready for bed around 7:30pm. She was left in her wheelchair and no one ever came to help her to bed. Around 11pm, the wheelchair alarm had gone off signaling that someone had fallen. Staff arrived to find Elsbeth had fallen. According to protocol, at this time, an assessment should have been performed. They failed to find that Elsbeth had a severely broken her leg. And failed to take her to get proper medical care even though she reported excruciating pain. Twelve hours after the incident occurred, the staff at Seven Hills finally called an ambulance to take her to the hospital where she underwent surgery. Her family was not even notified until they found their mother laying in pain and in her own urine after the fall. Nursing home negligence almost always creates extremely dangerous conditions for residents. 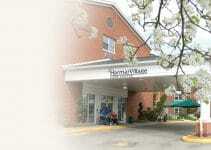 Nursing home residents depend on the care of nursing home staff and when this is not properly provided people get hurt. Elsbeth was a victim of nursing home neglect and it led her suffering in excruciating pain. The Defendants had the duty to—and chose not to—act reasonably in budgeting and providing funding to hire adequate number, training, and supervision of staff to care for and assist residents like Elsbeth Bosinger. Defendants had the duty to follow state and federal laws and regulations, their violation of which resulted in harm to Elsbeth Bosinger, and are evidence of the Defendants’ negligence. As a direct and proximate result of the negligence described above, Elsbeth Bosinger sustained permanent injury and loss including, but not limited to, conscious pain and suffering, disability, and death. Sadly, nursing homes are not always looking out for residents. They are typically owned by large corporations and they are often more worried about profits than they are about the safety and well being of the residents. Elsbeth Bosinger depended on the Defendants and their staff to provide a safe environment and adequate care and assistance. The Defendants caused, or knew of and acquiesced to or ratified, systemic understaffing, inadequate training, and inadequate supervision, in the Facility. The care providers in the Facility were unable to provide required care to all residents due to understaffing, being overworked, and being provided inadequate training and supervision. The Defendants chose to provide too little nursing staff to ensure timely and adequate care to all residents in the Facility, including Elsbeth Bosinger. The Defendants knew or should have known their policies of understaffing, and incentivizing Facility- and regional-level management to understaff, created a dangerous environment for residents like Elsbeth Bosinger. The Defendants had the duty to—and chose not to—act reasonably in budgeting and providing funding to hire adequate number, training, and supervision of staff to care for and assist residents like Elsbeth Bosinger. What’s the Purpose of a Nursing Home Neglect Lawsuit? 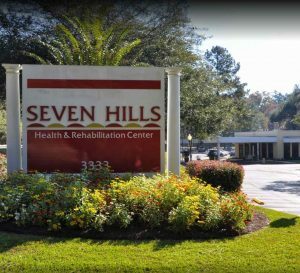 The victim has instituted suit against Seven Hills and Saber Healthcare, the parent company, for her injuries. 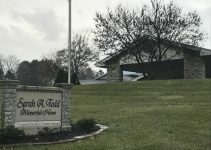 A neglect lawsuit in Ohio is brought on to hold nursing homes accountable for pain and suffering that could have been prevented. The victim and her family hope that this lawsuit will bring awareness to mistreatment at nursing homes and will prevent future injuries to nursing homes residents. 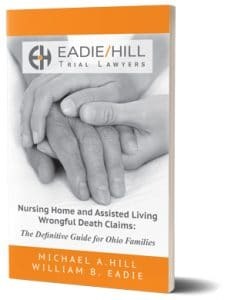 The family has hired nursing home abuse and neglect lawyers Michael Hill and William Eadie of Eadie Hill Trial Lawyers. 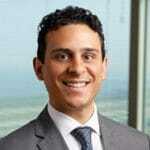 Who is Saber Healthcare Group? According to its website, Saber Healthcare owns, runs, and manages rehabilitation centers, nursing homes, and assisted living facilities throughout Ohio, Florida, Indiana, Pennsylvania, North Carolina, and Virginia. A complete list of all Saber Healthcare facilities is at the bottom of this article.